The TU891 is a compact MTU for the S800 I/O. 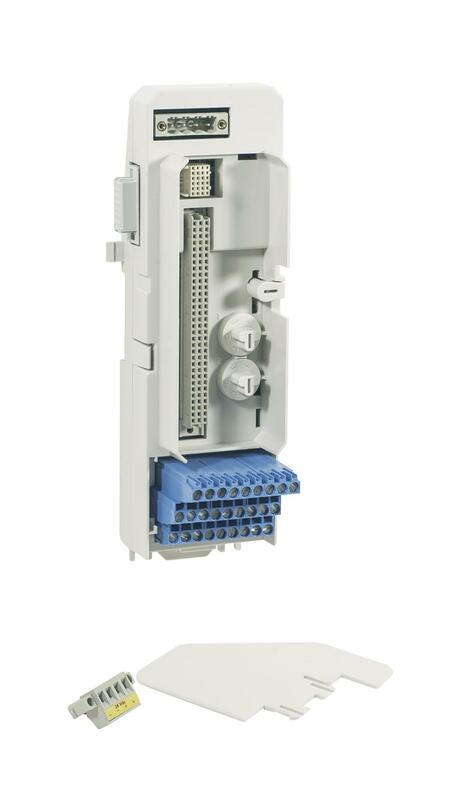 The MTU is a passive unit used for connection of the field wiring and power supply to the I/O modules. It also contains a part of the ModuleBus. The TU891 MTU has gray terminals for field signals and process voltage connections. The maximum rated voltage is 50 V and maximum rated current is 2 A per channel, but these are primarily constrained to specific values by the design of the I/O modules for their certified application.